Colorful decorations. Magazine quality prints. Sleek look. Made of plants. Why buy only one cover? Shop for more than one item and get amazing discounts. Customized bioserie covers present an excellent sales and promotion opportunity for brands through a truely cutting edge, environmentally responsible and premium product. Promote your company, brand or event with made-of-plants phone covers you and your employees carry with you everywhere, every day. 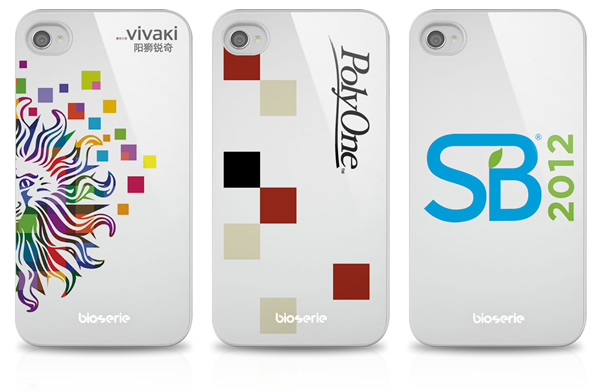 Create high-quality, environmentally sustainable custom covers for iPhone and Samsung Galaxy S3 featuring your brand's logo and start generating buzz. Bioserie allows you to showcase your identity in a professional manner that will make a lasting impression. Customized made-of-plants covers make great client gifts as well! Email info@bioserie.com for more information. 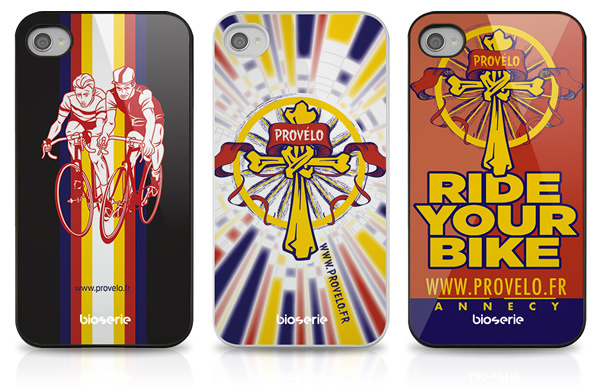 ProVélo is a specialist bike shop that is fully focused on bikes, cycling and selected bike apparels and accessories. ProVélo is in Annecy, one of the most beautiful places in the world and in the heart of the Alpes where cycling is at its best. VivaKi is part of Publicis Groupe, the world’s third largest communications group, the world’s second largest media counsel and buying group, and a global leader in digital and healthcare communications. It is home to two of the world’s largest digital specialist agencies (Digitas and Razorfish) and two of the world’s largest media communications companies (Starcom Mediavest Group and ZenithOptimedia). A global revolution is in full swing, and the Sustainable Brands Conference is where sustainability, brand and innovation leaders gather to learn, share and strategize to shape the future. SB 2012 was the largest gathering to date, a kinetic convergence of innovators from more than 150 companies from around the world finding new ways to create monumental disruption in traditional models of commerce and consumption. PolyOne Corporation is a global provider of specialized polymer materials, services, and solutions. In 2010, PolyOne was ranked the #1 in the “Top North American Compounders” list by Plastics News. They employ approximately 4,700 people and have 60 manufacturing sites and 9 distribution facilities in North America, Europe, Asia and South America.